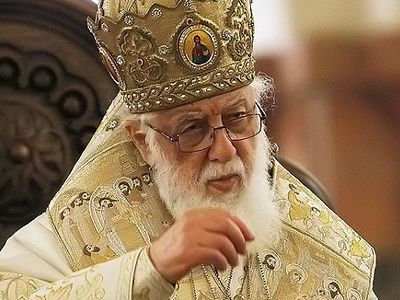 His Holiness Catholicos-Patriarch Ilia II of Georgia became ill during his sermon at the Holy Trinity-Sameba Cathedral in Tbilisi on Sunday, reports News-Georgia. 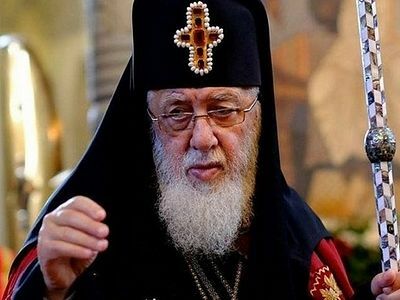 According to his personal physician Tsisana Shartava, His Holiness is currently in the patriarchate and his health is in no danger. She also noted that the day before the patriarch had visited the mountain town of Pasanauri in the Mtskheta-Mitianiti region. She suggested that perhaps his blood pressure had dropped due to the change in elevation. The town sits 3,445 ft. above sea level, about 55 miles north of Tbilisi. “We’re observing him to make sure he doesn’t get a virus infection. He was a little sick in the morning. The doctors asked him not to go to the cathedral, but he still went. His pressure probably dropped and this is why he felt bad,” Shartava said. The doctor also added that the 85-year-old primate feels good and is resting. His Holiness has had several health complications in the past few years. He underwent a surgery on his cardiovascular system in 2015; he suffered from a gall bladder inflammation and subsequent complications in late 2016-early 2017; and in February he underwent gall bladder surgery. Pat. Ilia, the most beloved man in Georgia, announced a Locum Tenens for the patriarchal throne on November 23, 2017, appointing His Eminence Metropolitan Shio (Mudzhiri) of Senaki and Chkhorotsqu to the position, presumably in view of the patriarch’s failing health. His Holiness was not able to attend the celebrations in Moscow in November-December 2017 for the 100th anniversary of the restoration of the patriarchate in the Russian Church due to health concerns. In February of this year he was diagnosed with an inflamed facial nerve. 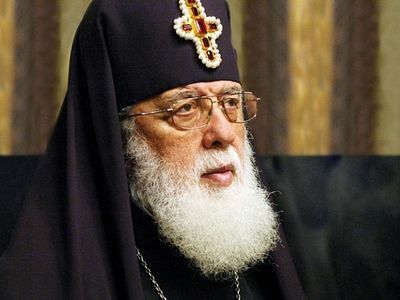 May God grant His Holiness Catholicos-Patriarch Ilia II many years!